I’ve mentioned culottes/cropped wide leg pants quite a few times in my column over at Forbes Style File, but I never thought I would actually purchase a pair for myself. I mean, a cropped, wide-leg pant on a petite? A disaster just potentially waiting to happen. But when I saw these petite crops at Ann Taylor on sale, I thought it was worth a go. I fully expected to return them, but I was pleasantly surprised! They do have somewhat of a leg-shortening effect (although my strappy shoes probably don’t help the matter), but they are just so chic, I’m willing to overlook this. The trick for a proportional look? 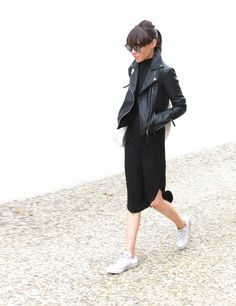 Treat culottes or a cropped wide leg pant as if it was a midi-skirt. The most flattering place to hit is above or below the widest point of the calves. Add a heel to elongate the leg and it makes for a beautiful silhouette. I am wearing 00P in these cropped pants. Some very small-waisted petites may find these a bit large, but since I am more ruler-shaped, I found these just fine. The waist measures 27.5 inches lying flat. The crepe fabric is quite heavy and made of 94% polyester and 6% spandex. According to the label, it is machine-washable! 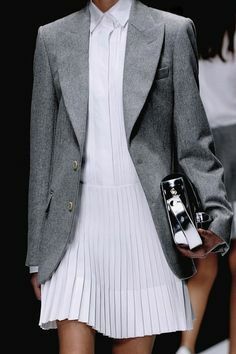 Also, another thing to note, there is a single pleat in the front of the pant, which I think helps give it a beautifully tailored tapered look, but some ladies may not be a fan and might prefer something with more of a straight leg or culotte. They are on sale for $69.99 and AT is currently having an extra 40% off online with code GOSPRING, bringing the price down to approximately $42. It comes in navy blue and black in petite and regular sizing. I’m totally digging the Ann Taylor Evelyn Double Strap D’Orsay shoes, as well. I’ve really been needing an alternative to my classic black pumps that you’ve seen in a majority of my posts over the last few years, but finding a good shoe fit for my fussy feet is no easy task. The double strap is perfect to hold down my feet and the pointy-toe gives the shoe a bit of edge while still remaining work-appropriate. For any one interested, take your regular shoe size. These shoes are also currently on sale for $134.99 plus an extra 40% off online bringing the price down to approximately $81. 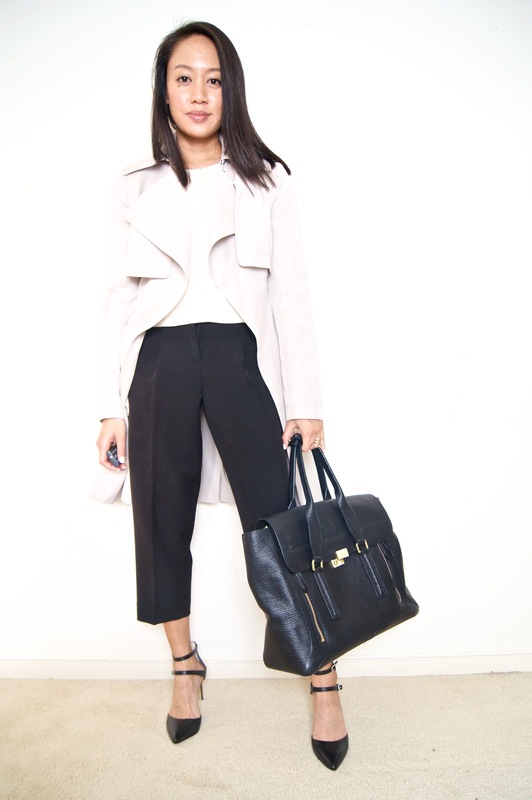 What do you think of the culotte/cropped wide-leg pant trend? Will you be taking part?